Muybridge's first photographic project took place in Yosemite, California in spring 1867; using a mobile photographic unit - 'The Flying Studio' and the pseudonym 'Helios'. A pioneer in capturing this astounding landscape, Muybridge trekked the uneven terrain of Yosemite Valley with assistants and a pack train, often camping overnight. Finding the right light and view was the challenging beginning to an equally demanding process of outdoor collodion wet-plate photography. This was the most progressive technique available, invented in 1851. Before taking shots, Muybridge's dark-tent needed to be pitched and his camera equipment and chemicals unpacked and prepared. Then wet plates were sensitised in the tent whilst exposures were made outside; to be developed immediately afterwards. After six months, Muybridge's first trip to Yosemite was complete. 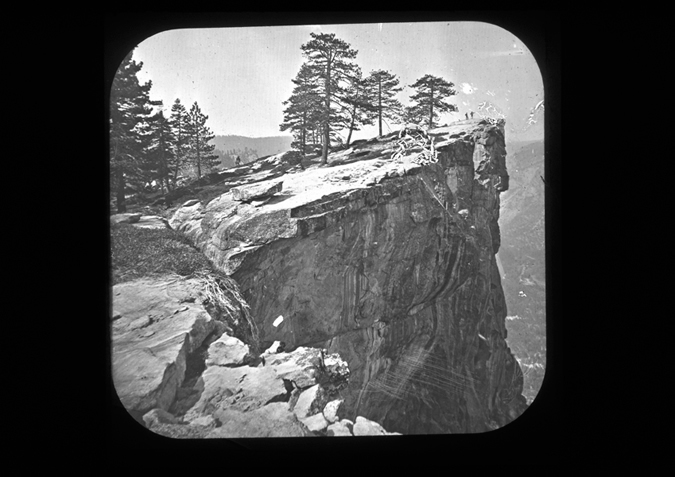 The resulting photographs were published in local newspapers and used to illustrate a guidebook entitled 'Yosemite: its Wonders and its Beauties'. Then, around May 1868, they were collated into a series of 260 images for purchase (Haas 1976, p19). Amid enthusiasm from professionals, public and the press, Muybridge's Yosemite photographs had launched his career, naming him an innovative and technically excellent photographer. Muybridge went on to make landscape photography within California a fundament of his early career. After Yosemite, Muybridge photographed the scenery of Geyser Springs, Alameda County and Menlo Park, as well as the rugged Farralon Islands. 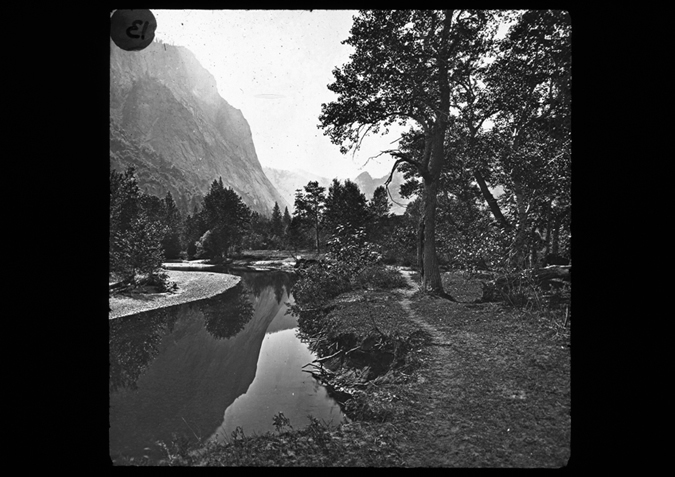 He then completed a second six month Yosemite project in 1872 - the resulting series of both large and small plates winning him the 'International Gold Medal for Landscape' at the Vienna Exhibition of 1873, and with it, fame overseas (Haas, p45). Landscape painting and photography was popular in California at this time, reflecting a wider trend throughout the Western World. Entrepreneurial Muybridge was quick to capitalise on the market. However, to understand the popularity of landscape at the time, we must explore the social and political scene of the 19th century and its impact on the Californian population. Perhaps the most important event of the 19th century is the growth of capitalism, which brought with it massive developments in industrialization and technology, especially in the Western World. However, these developments dramatically altered the landscape inhabited by the 19th century individual, both aesthetically and socially. 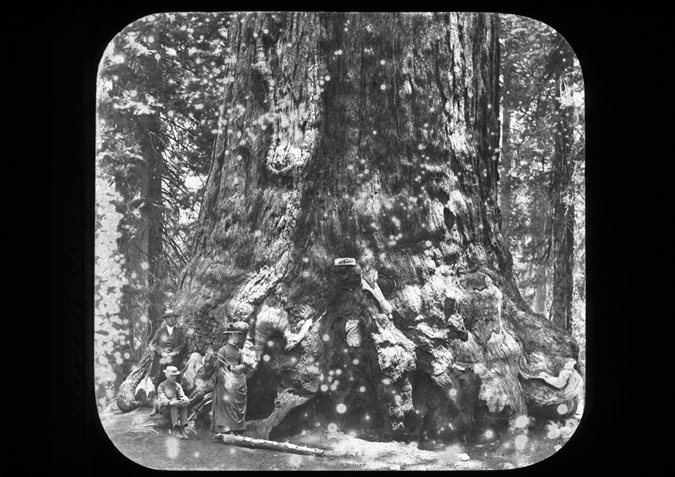 In California particularly, the gold rush of 1849 impacted hugely on the environment of the state. Gold in the form of the gold standard was the measure of value within capitalism, so its discovery in California meant great wealth for the region and its inhabitants. However, the mining needed to extract this valuable resource and the industrialization and development it produced meant the landscape of California changed dramatically. Green stretches of land untouched by the human hand were in fast decline, replaced by the smoky chimneys of industry and the excavated landscape of the gold mine. One reaction to this rapid change was a longing for natural beauty - the rural idyll which also signified a slower, traditional way of life. This historical situation then, helps elucidate why Muybridge's California landscape photography struck a chord with the population at home and overseas. However, it also helps explain another aspect of Muybridge's landscape work. Capitalism threatened the removal of rural spaces, but it also found a very profitable way to work with the cultural desire for green spaces which resulted. This was tourism, a new trend working in tandem with the birth of a middle class rich enough to afford leisure time. Muybridge photographed visiting groups to almost all the landscapes he photographed - in some of what is arguably the first ever travel advertising! 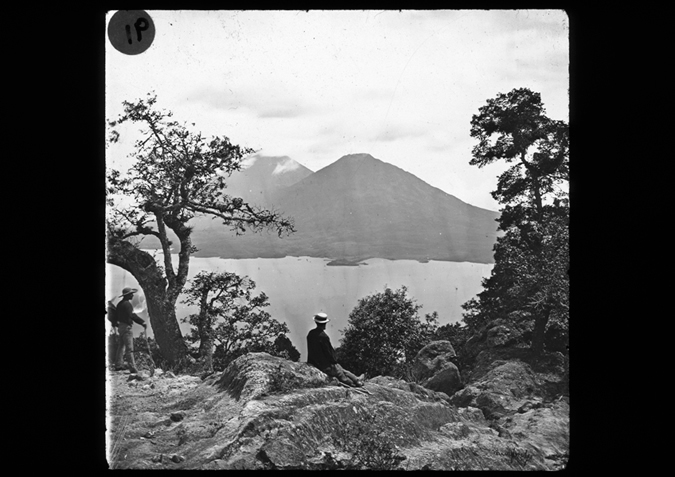 Muybridge also went on to photograph the rural idyll in many other locations, including Canada and Guatemala pictured above. 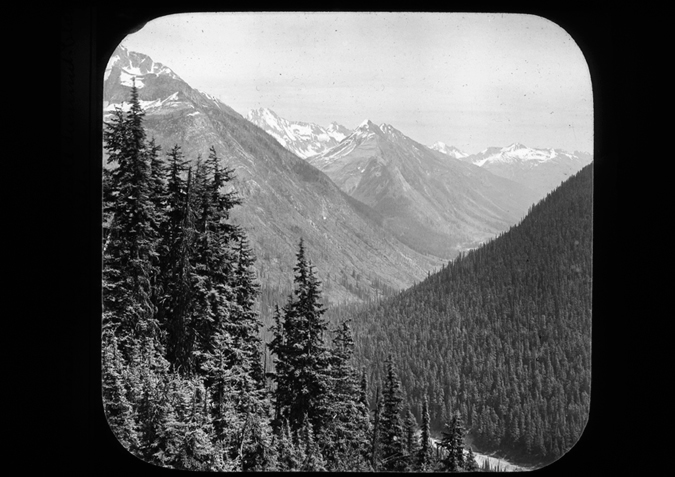 These areas arguably siginified the same lure as Yosemite for his growing US and International audience who inhabited the Industrial Capitalist world, and nostaligcally wanted to travel to it, either physically or through photography. What we can see from Muybridge's landscape work, apart from the genesis of a career, is an entrepreneurial attitude and the capacity to capture the collective desires of a people in a manner profitable to himself. In fact, this is a theme running through all Muybridge's work, and an important reason for his success, as photographer and businessman.